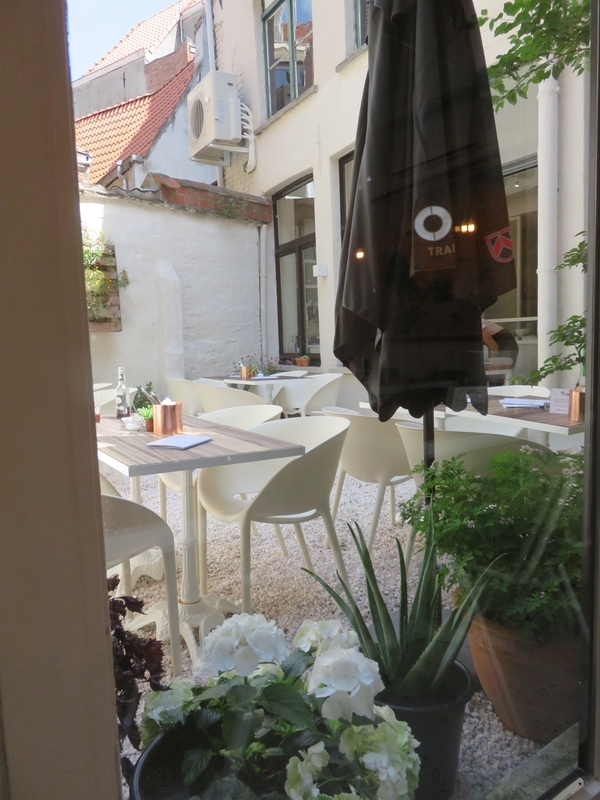 Restaurant review #82 – Grün is a new bistro in the city center of Bruges, not far from ‘t Zand and ‘t Zilverpand. 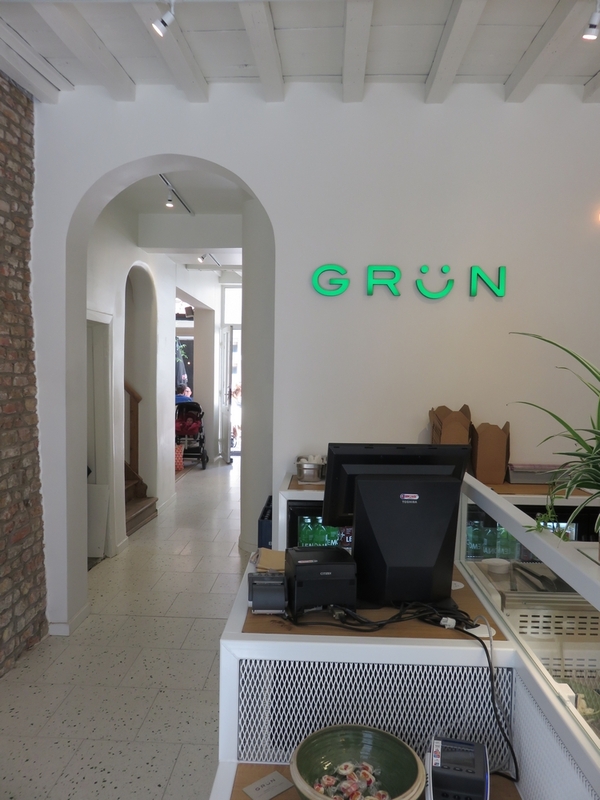 On their facebookpage, Grün describes itself as a “healthy food restaurant“, “Take out Deli” and a “green hang out spot“. 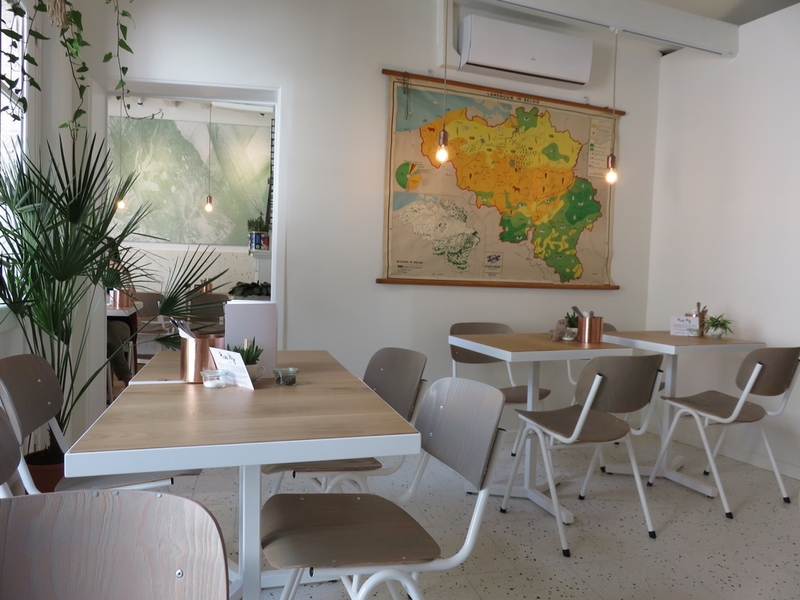 I had read on social media that they have vegan options, and phoned beforehand to inquire and make a reservation, and yes, they confirmed they have vegan options. We were there for lunch on a weekday and the place soon filled up. There’s also a nice terrace in the back, and some tables in front of the bistro. It’s a spacious, bright place, soberly decorated, not so comfy chairs though. 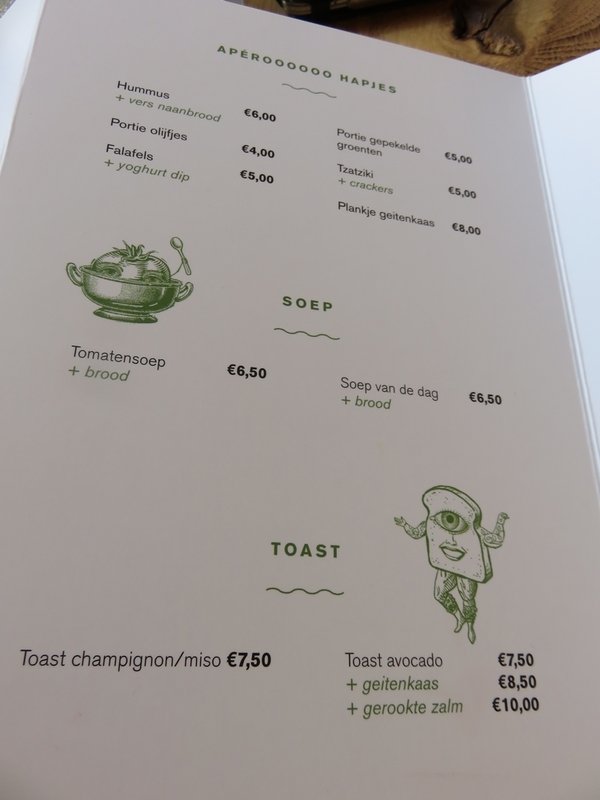 There did not seem to be a lot of vegan dishes available on the menu card, but some dishes could easily be adapted to make them vegan (with either falafel or baked tofu). 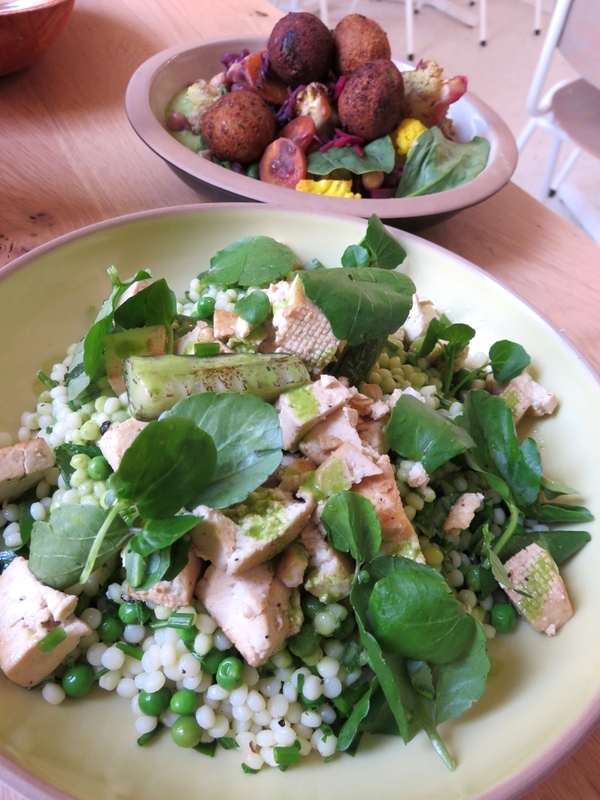 We had the Lebanese salad (avocadohummus, roasted cauliflower, carrots and instead of haloumi, we choose falafel, 14€) and the plat du jour, which was pearl couscous with salad (and instead of lamb we ordered it with tofu, 14€). 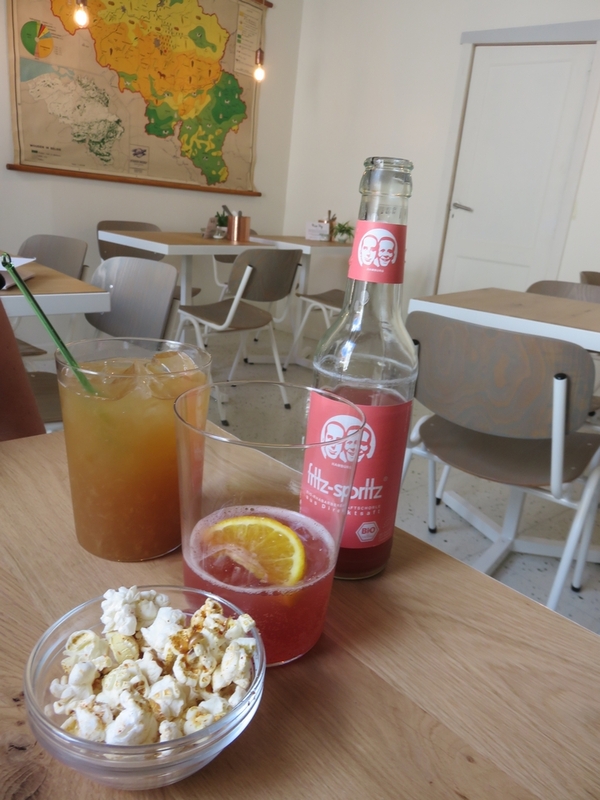 No fresh juices available, but we had a an applejuice (2,50€) and a rhubarb juice (3,20€). The rhubarb juice was a really nice discovery! 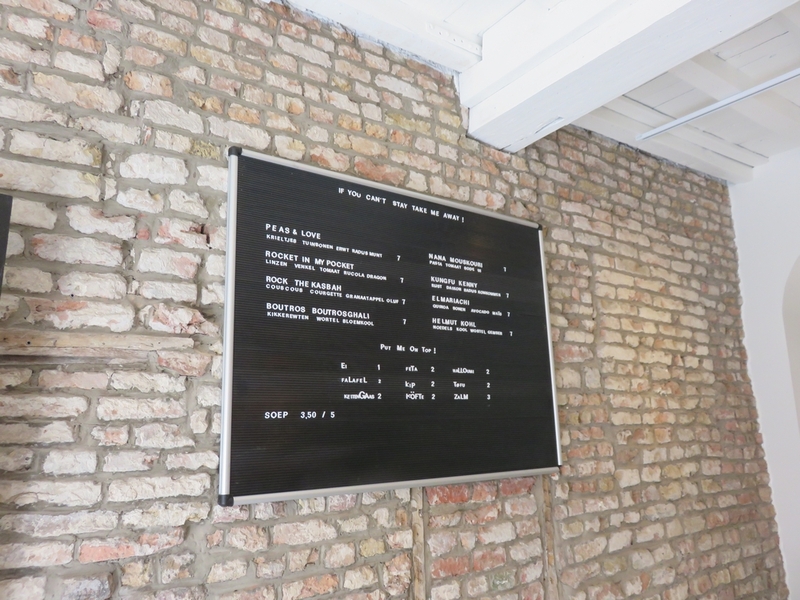 When we visited, there were no vegan desserts available yet, but from August 2016 onwards, Grün will sell and serve vegan pastry from Madame Bakster! So we just had a coffee. 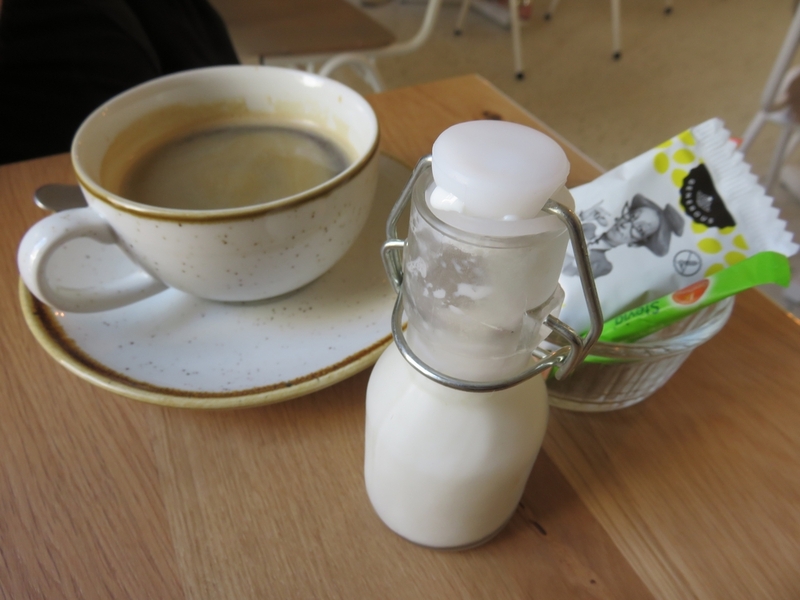 It would be nice if they could pay attention to detail here and offer some vegan cookies or chocolate (and we got cow milk – the waitress acknowledged the mistake and apologised and said they do have soymilk available). 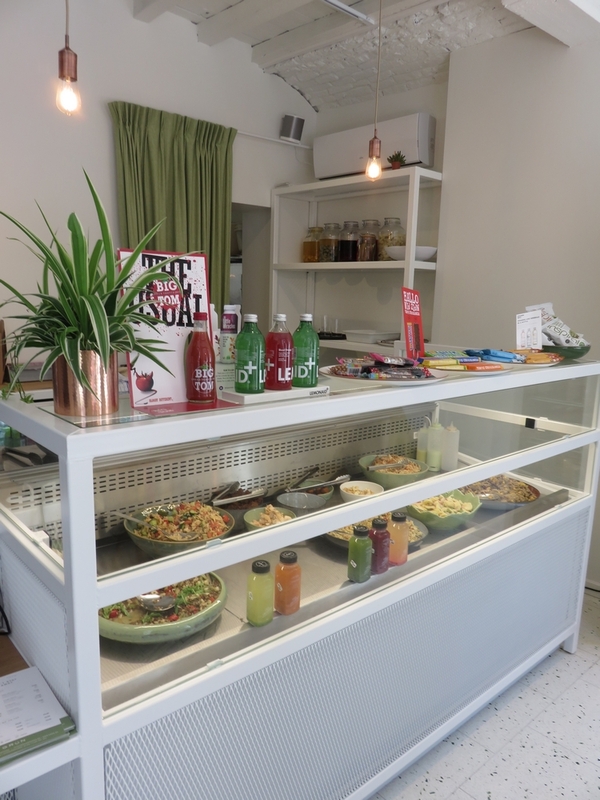 Grün also offers take away: nearly all the dishes in the counter are vegan, some dressings are not. In sum: Nice food. 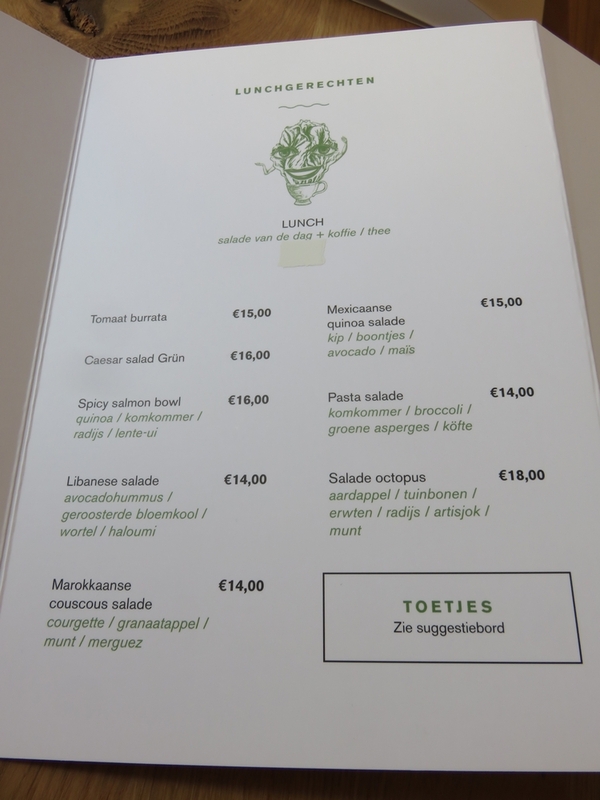 Reasonably priced (considering it’s the city center of Bruges), although rather small portions. Service was swift and very friendly, and no problem to go check with the kitchen for ingredients and possible vegan options. Comfort could be a bit better (wooden chairs and not so easy stairs going up to the toilet), but it’s not the place for long dining anyway (note that Grün closes at 8PM!). 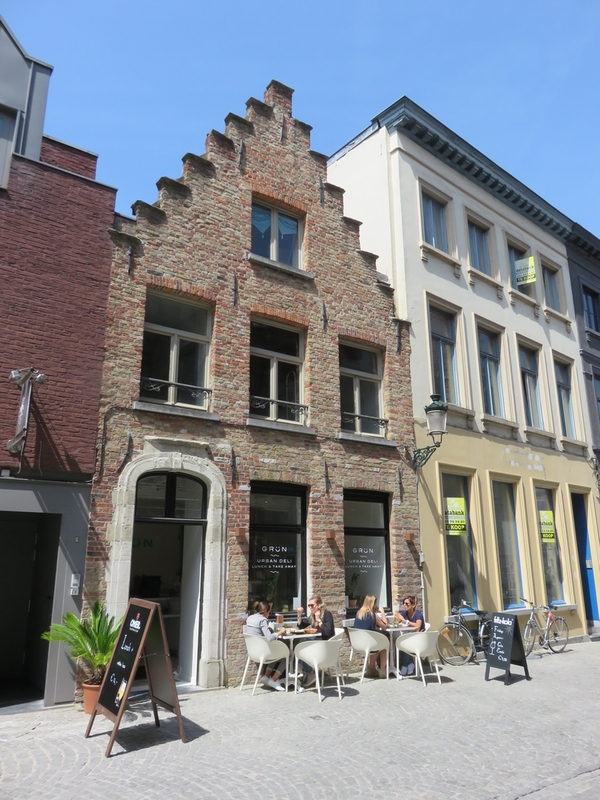 A great new addition to Bruges, I wish more places like this would pop up over town! UPDATE 2017: CLOSED (That’s Toast is now on this location, also has vegan options). Looks so appetizing and the ambience is magnificent! 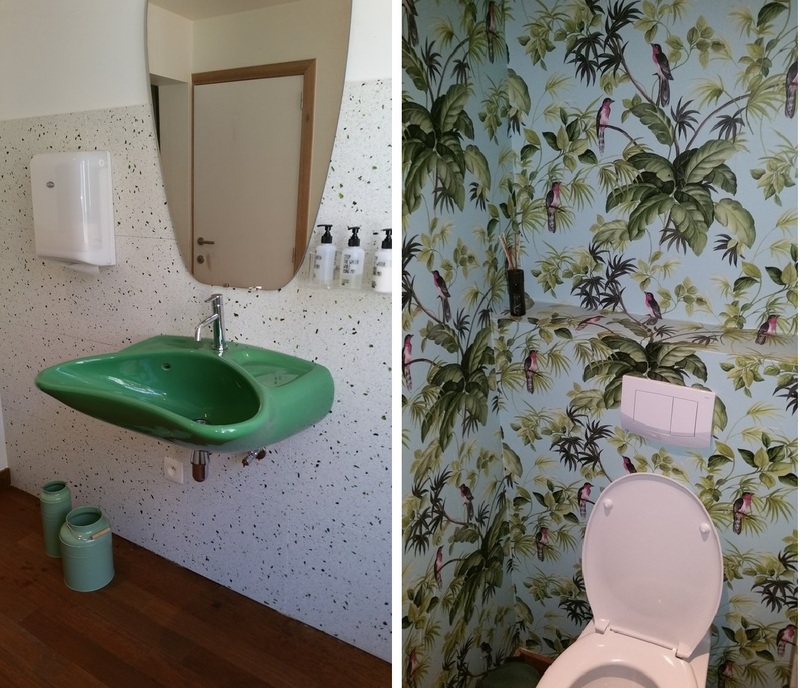 This looks like a cool place to hang out! 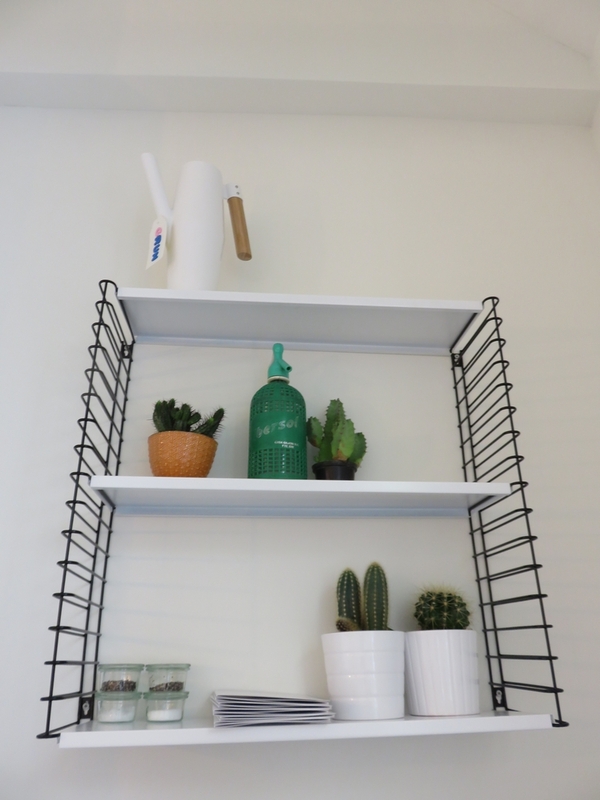 Fa photos & a killer review!